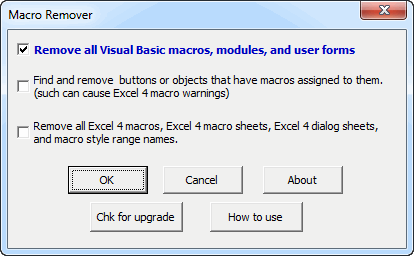 The Macro Remover add-in for Microsoft Excel can remove all macros from your workbooks. It is compatible with Microsoft Excel 2007 to 2019 and Office 365. 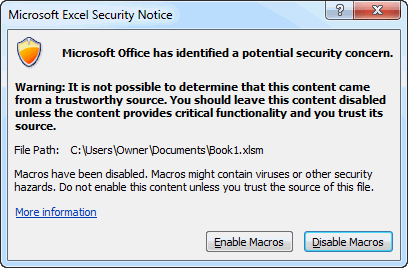 Even Excel 4 macros and macros that are in un-removable modules can be removed.